Summertime is here and that calls for a stitch that won’t take too much time away from those busy summer schedules to master. It’s another one of those stitches that consists of only knits and purls—perfect for a quick knit with loads of texture and possible future uses. 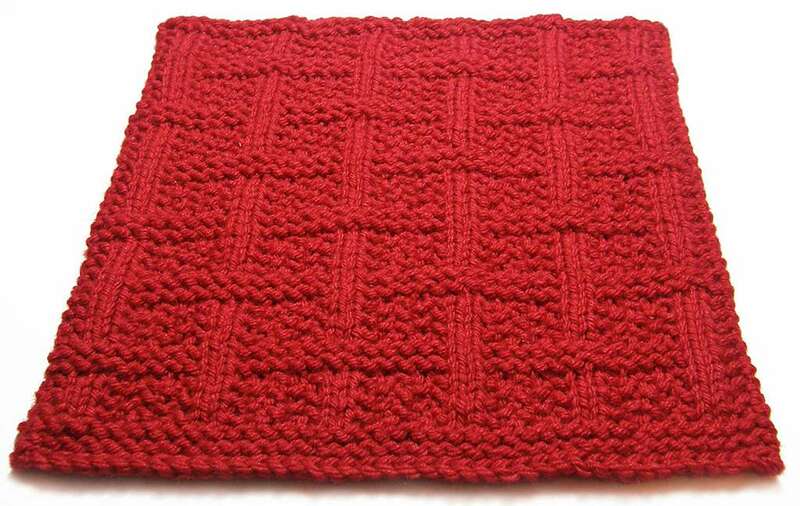 This one is truly lovely and reminiscent of the woven crusts on the top of a scrumptious cherry pie! 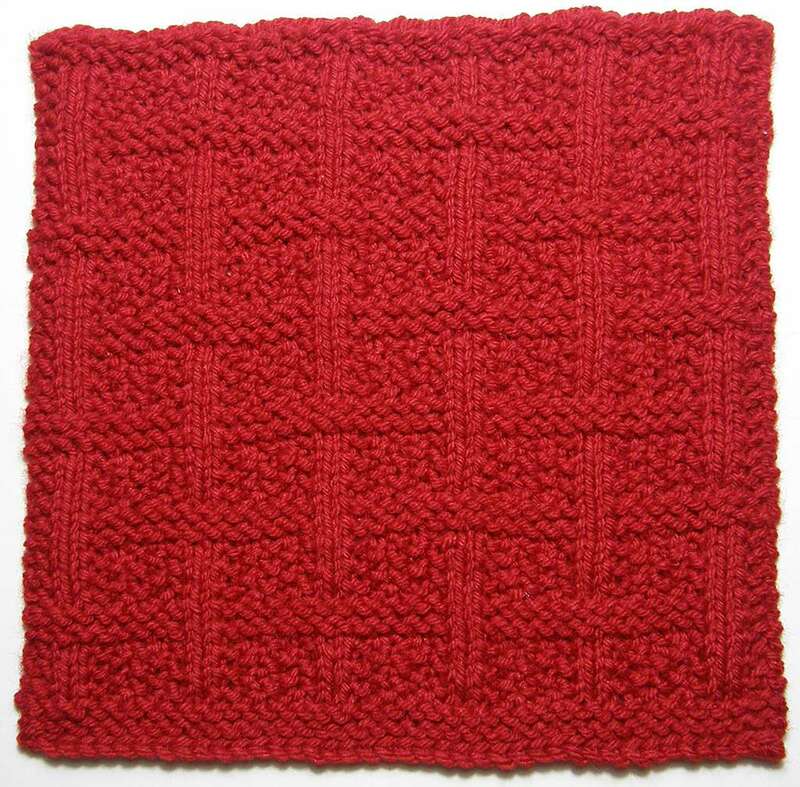 This versatile stitch pattern would apply itself very nicely to a variety of projects, especially ones that the back side isn’t featured, as the design is best displayed from the front. 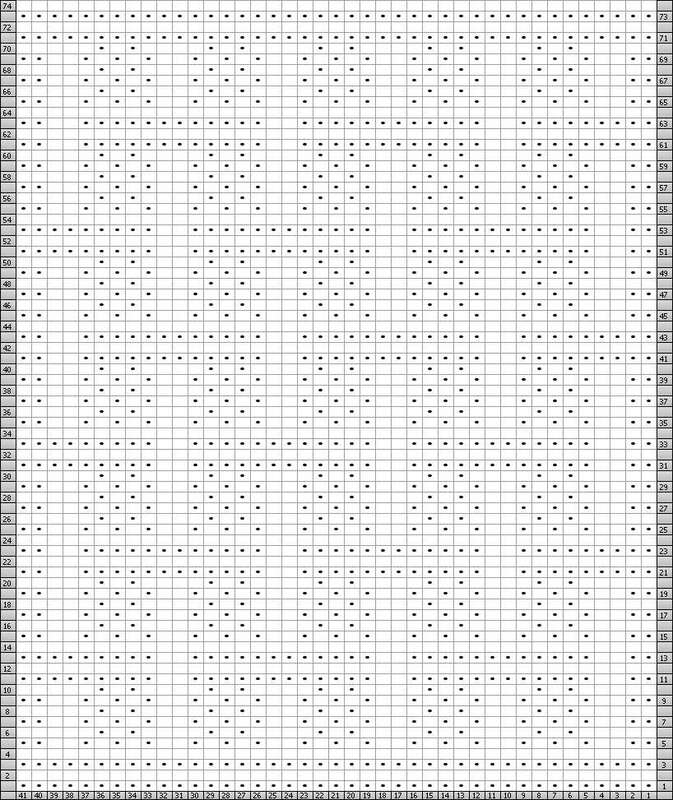 To work this pattern in the round for a hat, use the Repeating Pattern Rows chart, and make sure to read it from right to left for each row, rather than alternating sides each time. Also, cast onto your loom in a clockwise direction, using a number of pegs that is divisible by 14 + 2 sts added at the end—the number of stitches required for each pattern repeat + the number of ending sts to complete the pattern. 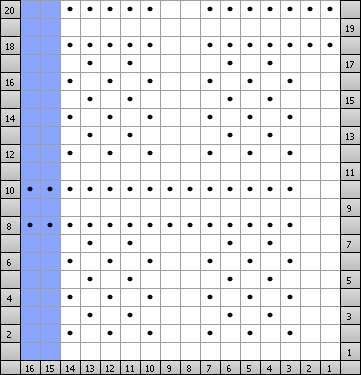 The blue columns in the above chart represents the added 2 stitches needed to be tacked at the end of the repeating rows to complete the pattern. This is why the stitch pattern is listed as a repeat of 14+2 stitches. 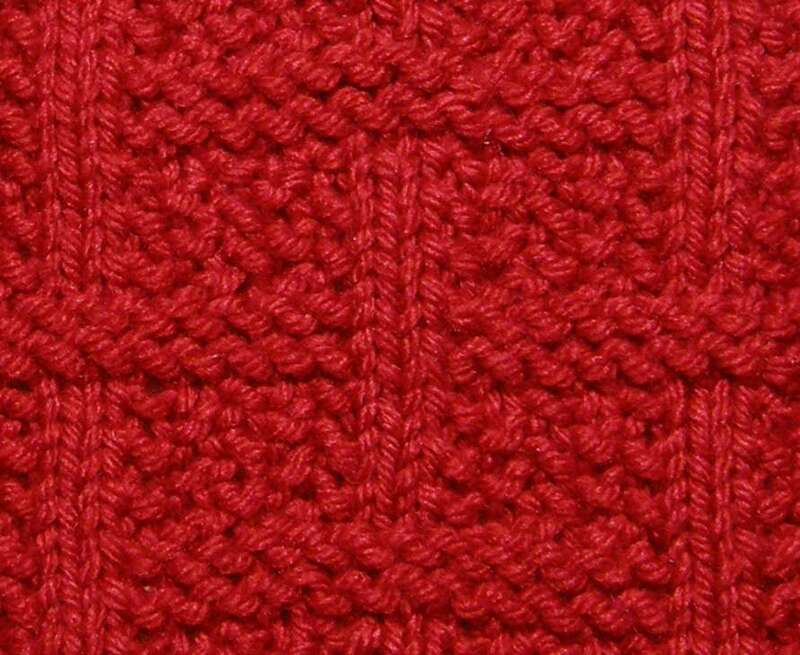 Stitches 1-14 are repeated as desired, then stitches 15 & 16 are added at the end to complete the pattern. These last 2 stitches will be implemented below as if there is only one pattern, with no repeats. Rows 2, 4, 6: k2, *(p1, k1) 3 times, k1, rep from * . Rows 3, 5, 7: k3, *(p1, k1) twice, k3, rep form * to last 2 sts, k2. Rows 8 & 10: p14, k2. Rows 9 & 11: k16. 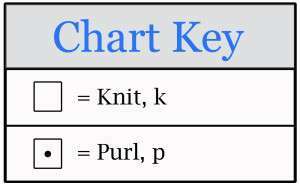 Rows 18 & 20: *k2, p5, rep from * to last 2 sts, p2. Rows 5, 7, 9: p2, k2, *(p1, k1) 3 times, k1, rep from * to last 2 sts, p2. Rows 6, 8, 10: k5, *(p1, k1) twice, k3, rep from * to last st, k1. Rows 11 & 13: p2, k2, *p12, k2, rep from * to last 9 sts, p9. Rows 12 & 14: k41. Rows 15, 17, 19: rep Rows 5, 7, 9. Rows 16, 18, 20: rep Rows 6, 8, 10. Rows 21 & 23: p9, *k2, p12, rep from * to last 4 sts, k2, p2. Rows 23-70: rep Rows 4-22.